NIA CHARLESTOWN NEVIS (January 05, 2015) — The Department of Education has been incorporated into the Premier’s Ministry in 2015. The disclosure was made by Premier of Nevis Hon. Vance Amory, when he delivered his New Year’s address on January 01, 2015. Mr. Amory who is also the Minister of Education said the move would ensure greater effectiveness as far as the administration of Education on Nevis was concerned. “My Fellow Citizens, in an effort to improve efficiency and rationalise supervision and administration of education on our Island, I have decided to attach the Department of Education to the Premier’s Ministry. Therefore, effective 1st January, 2015, the Department of Education will be subsumed into the Premier’s Ministry,” he said. 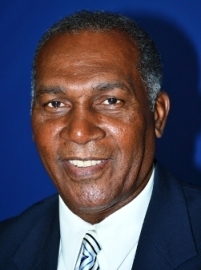 Mr. Amory also stated that in 2015 that the Nevis Island Administration (NIA) would seek to resolve all amenities in the teaching service and the Public Service to ensure that all of the civil servants are comfortable and made to become even more efficient and willing to serve the people of Nevis with professionalism and civility. He noted that the education system on the island continued to be a beacon among its neighbours in the region and as such in 2015 the NIA had intentions to enhance the education system on Nevis, to improve on the successes of the past. Mr. Amory added that in 2014 the island had seen a range of successes like never before. “As a society, we have the responsibility to mould our young and let them soar to greater heights. We challenged our teachers and students to use the tools of education to develop better citizens, to develop communities, to develop a better country. “In 2014, they responded with great academic focus, decisiveness and discipline and I am confident that we will see the positive impact on our country as time goes on,” he said. The Premier spoke to added provisions in education that would be taken in 2015, which would provide all with vital access to opportunities. “In 2015, The Nevis Island Government will continue to acknowledge education as a sword for the weak and a shield for the defenceless. We will continue to project education as a beacon of hope and as a key to the door of opportunity for all,” he said.